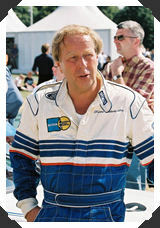 After many years in the highest level of international rallying, Hannu Mikkola finally clinches the championship title. His road to title is hampered by apalling reliability of the Audi quattro and less than perfect work of team's mechanics but as much helped by the fact that no other driver had as extensive programme as he had. In manufacturers series Lancia outsmarts giant Audi team and wins their fourth title. Audi loses the title by mere two points even though each marque wins equal number of rallies. Explanation of course being that one of Audi's five wins is from non-championship round of Sweden. Audi debuted many new cars during the year, from smaller Group A 80 quattro intended for privateers to two new versions of their Group B quattro. First one was the intermediate A1 version which was soon replaced by A2. Toyota introduced Celica Twincam Turbo and won Ivory Coast with it. After homologation problems, Opel switched from Ascona 400 to lighter Manta 400 but unfortunately it was not so successful as it's precessor had been. 1983 FIA World Rally Champion, Hannu Mikkola.